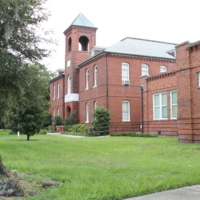 The Student Museum and Center for Social Studies, located at 301 West Seventh Street in Sanford, Florida, in 2011. 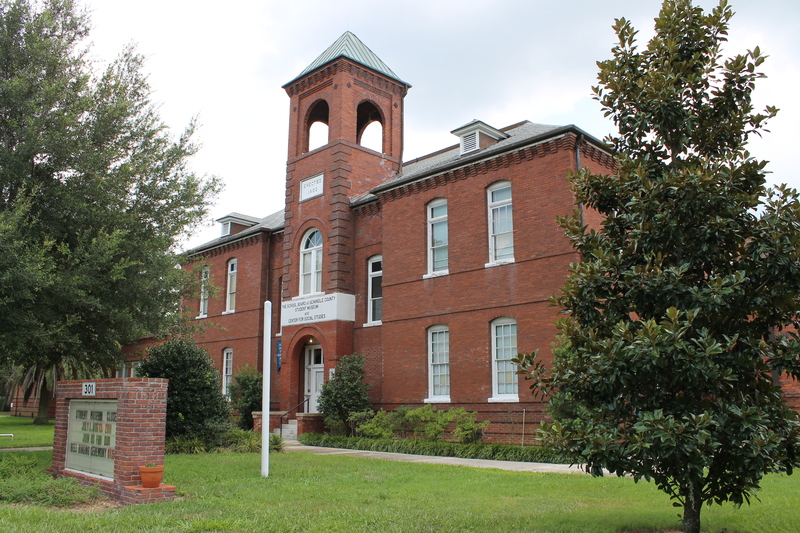 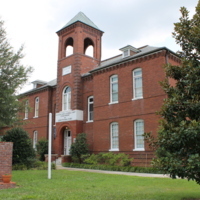 The building was originally occupied by Sanford High School, which was established in 1902. 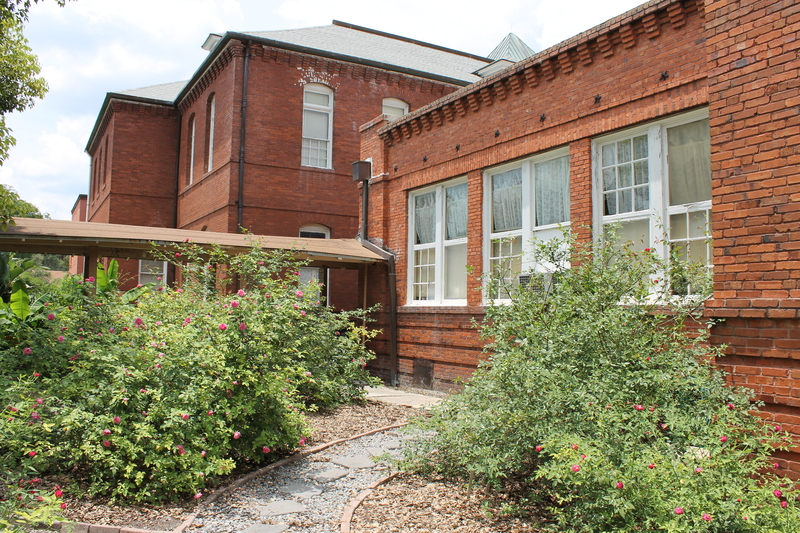 The structure was designed by W. G. Talley in the Romanesque revival style. 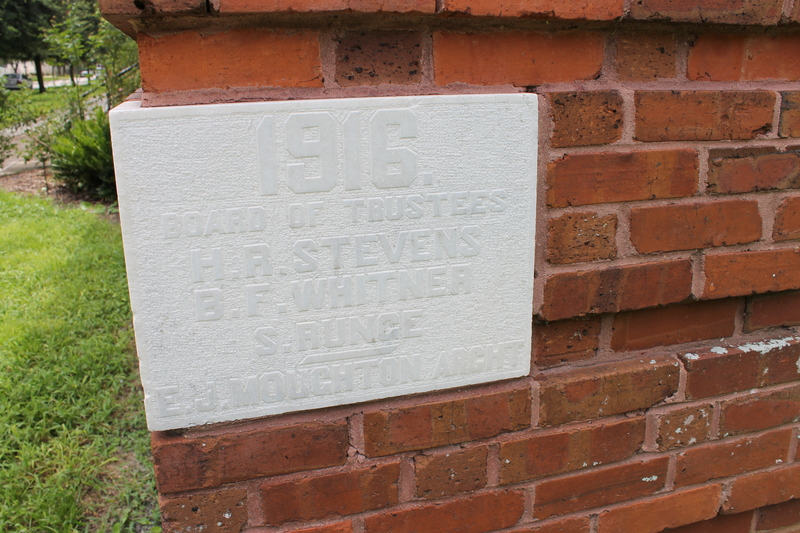 Due to an increasing student population, a new school building was constructed on Sanford Avenue in 1911. 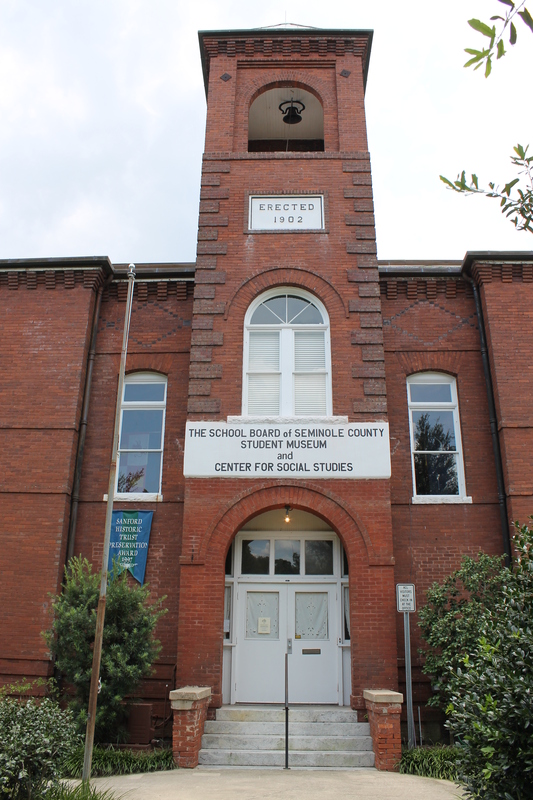 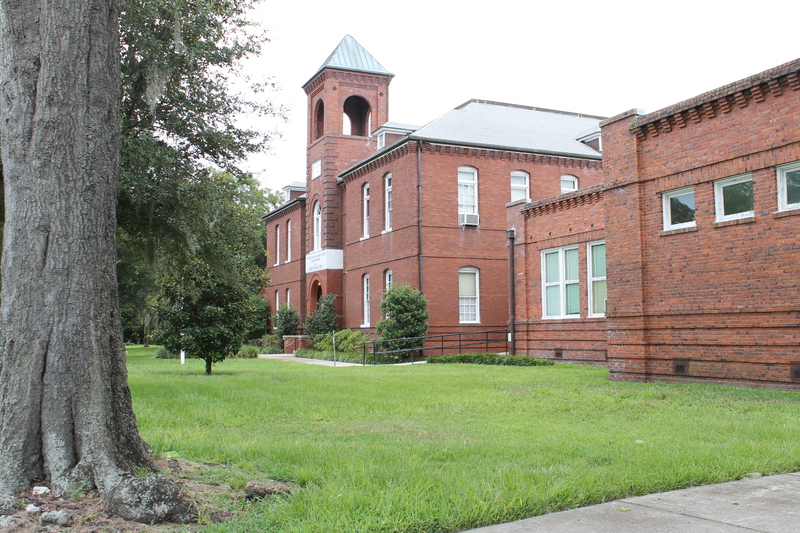 The original building on Seventh Street served as Westside Grammar Elementary School, which was later renamed Sanford Grammar School. 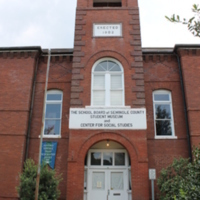 In 1984, the structure was placed on the National Registry of Historic Places and converted into the Student Museum. 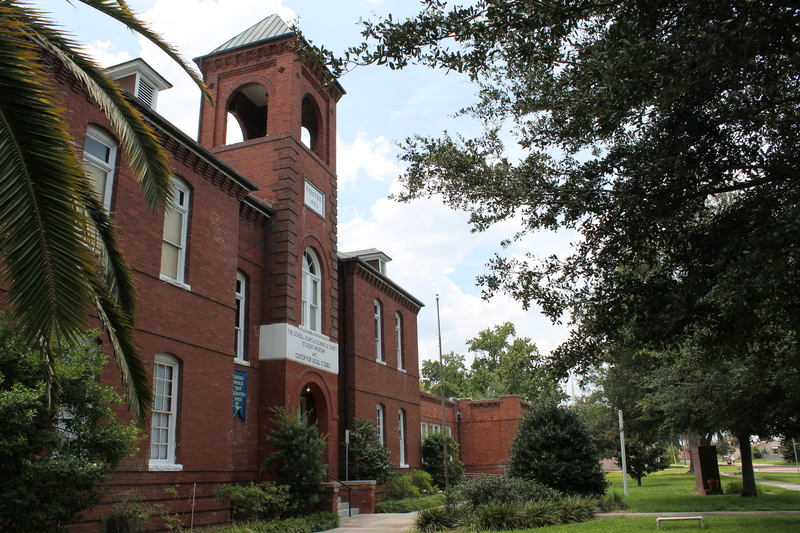 The building reopened as the University of Central Florida's Public History Center in 2012. 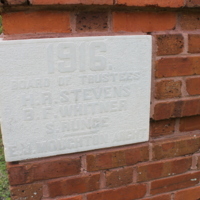 Original color digital images by Kathleen MacDonald, July 20, 2011. 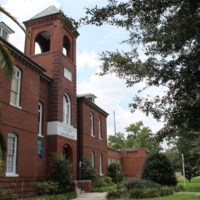 7th Street; Board of Trustees; elementary school; grammar school; high school; MacDonald, Kathleen; Moughton, Elton J.; museum; PHC; Public History Center; Romanesque revival architecture; Runge, S.; Sanford; Sanford Grammar School; Sanford High School; Sanford Historic Trust; Sanford Historic Trust Preservation Award; school; School Board of Seminole County; Seventh Street; Stevens, H. R.; Student Museum and Center for Social Studies; Westside Grammar Elementary School; Whitner, B. F.
MacDonald, Kathleen. 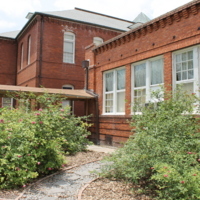 “Student Museum, 2011.” RICHES of Central Florida accessed April 19, 2019, https://richesmi.cah.ucf.edu/omeka/items/show/2272.